The Duke bounds out of the car, rearing to go. There are wooden structures lined up to test the dogs’ agility. A hurdle, an ‘A’ frame, parallel bars, posts to weave between. The Duke lifts his leg and does what many dogs do on such structures. The park is a wide expanse of grass, diligently mowed by the Waipa District Council mowers. There is a very steep descent to a very green pond at the bottom of a gully. It’s securely bound by a two metre high wire fence. This storm water pond discharges into the swamp in the nearby gully. As we head down the hill there is the sound of tuis in the bush. Fantails flit beside us and swallows swoop above. Under our feet, below a layer of dirt, is a rubbish dump. 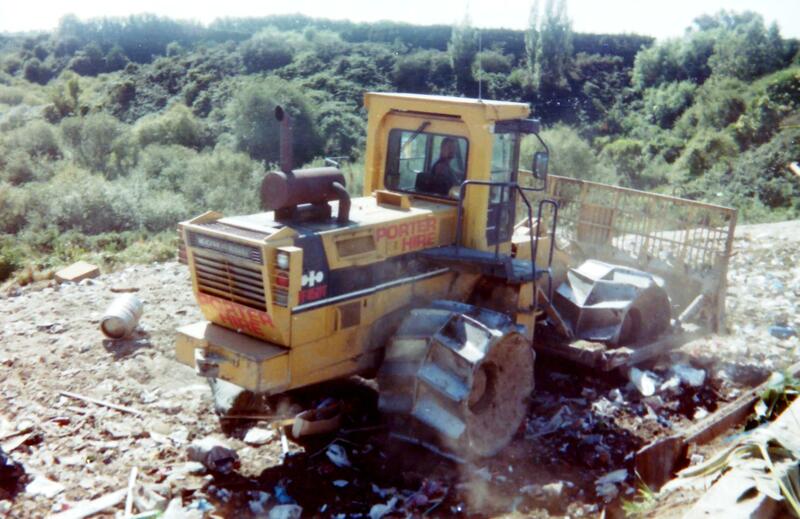 For forty years, from 1959 to 1999 trailer loads of household, garden and commercial rubbish were tipped over the bank. When it was full it was covered with clay and topsoil, sown into pasture and left to settle. Leachate is now collected and pumped into the sewerage reticulation. Waipa District Council opened the Agility Park for exercising dogs in 2006. The Duke does his business as dogs do, and there is the green ‘doggy do’ receptacle – but remember to bring your ‘doggy do’ bags!